Happy News: Sansa has been found! 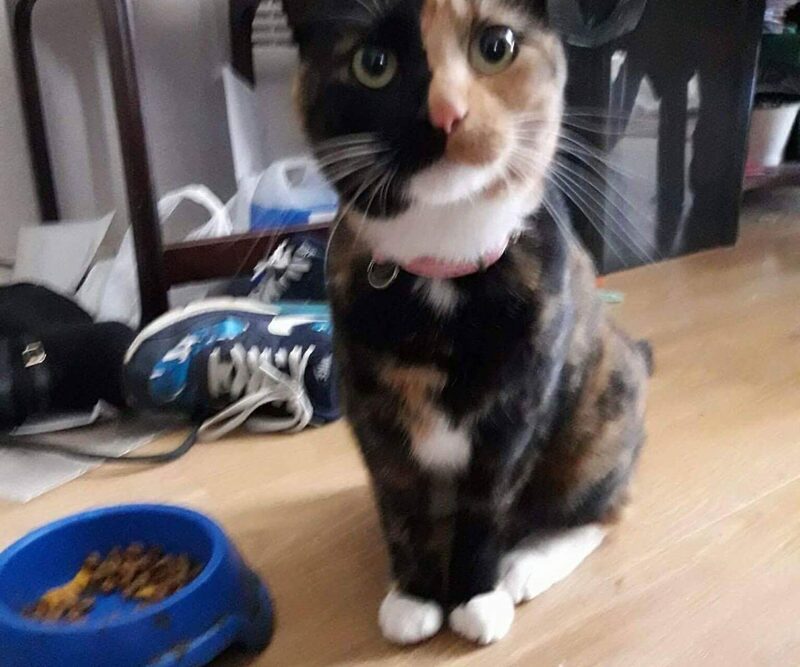 A cat has been missing for over a fortnight in Hoddesdon. Her name is Sansa, and she is 17 months old. 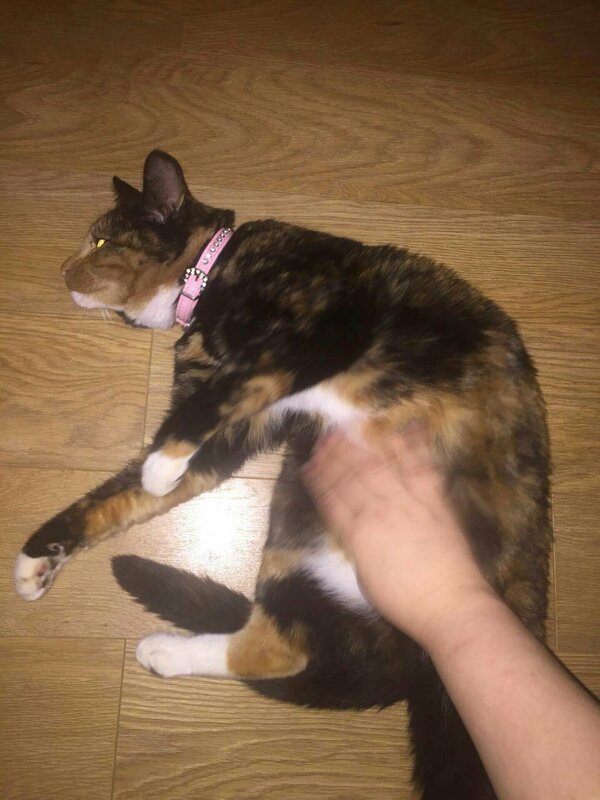 She is a tortoiseshell cat, half ginger, half black face, mix of black and ginger on her back and tail, white paws and belly. She is very quiet and very timid. 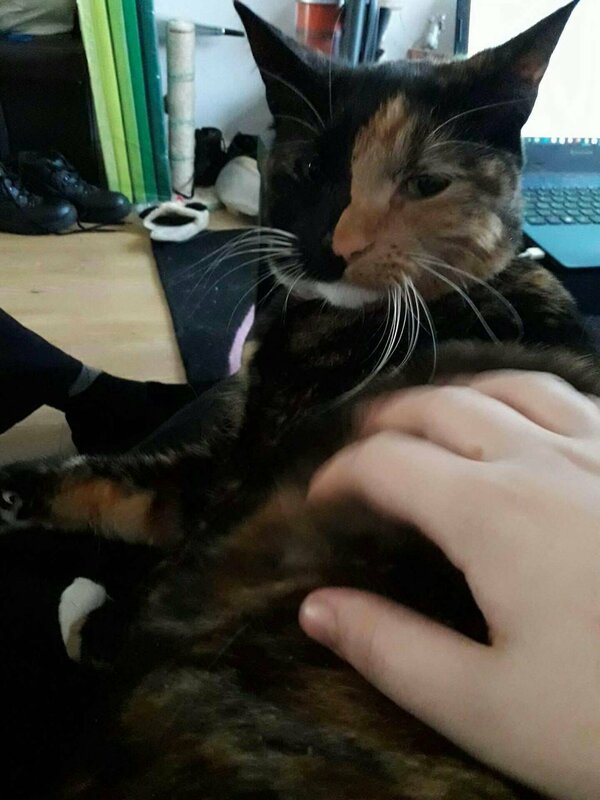 She is easily picked up and will not scratch.Please contact via text or call on 0748 0868177 or Cats Whiskers Rescue on 07878 803137.